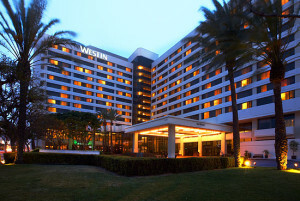 The Westin Los Angeles Airport Hotel is only four blocks from Los Angeles International Airport and offers a variety of affordable LAX parking options for your next vacation, business trip or getaway. If you’re in a rush, save precious time and take advantage of our valet and luggage assistance services. Our highly trained Guest Service Associates will valet your vehicle to a secure location, so you can catch the Westin’s complimentary airport shuttles. The shuttles are ADA accessible and run every 15-20 minutes, 24 hours a day. Whether you are leaving on an overnight business trip or you need long term LAX parking for your vacation, we have you covered! It is required that you book your airport parking reservation in advance in order to receive this discounted rate. Pre-book your parking at LAX with snag a space! 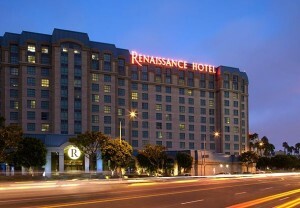 The Renaissance Los Angeles Airport Hotel has first class LAX Airport parking service at a price that can’t be beat! 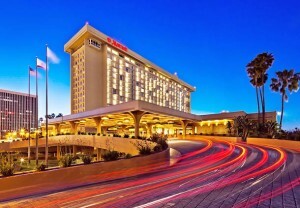 Situated less than one mile from Los Angeles International Airport, the Renaissance offers complimentary ADA-accessible airport shuttles. The shuttle stops every 15 to 20 minutes 24 hours per day, to transport you to and from the airport. Whether you are leaving on an overnight business trip or you need long term LAX parking for your vacation we have you covered! The hotel’s self parking garage is easy to navigate, so it’s easy for you to find the perfect parking spot that will keep your vehicle protected from the weather. For those amiable to a more sophisticated experience, snag a space extends award-winning valet and bell service! Your vehicle will be professionally parked in a covered location by our highly trained Guest Service Associates, who will also take care of the heavy lifting and carry your luggage to the shuttle for you.